We are a progressive community that is passionate about Jesus. to deep personal transformation into the likeness of Christ. to participate in profound social transformation toward the reign of God. away from greed, hatred and violence. toward gratitude, reconciliation and peace. Community: We are an intentional community, seeking to love and affirm each other. We believe that the quality of our relationships with others is the touchstone of our spiritual lives. Passionate: We are not a boring community! We are passionate about worship, reverence and singing, about listening to and loving each other, and about standing at the side of the poor and the marginalized in this world. Jesus: Jesus is the focus of our journey. We regard him as the embodiment of the loving kindness of God, and of God's passion for mercy, justice and peace. We strive to live out Jesus' teaching, and to enter into the relationship that Jesus has with God as "Abba," as loving Father. To be a boldly incarnational, embracing and diverse community of worship, in a way that radiates the spirit of Jesus Christ, so that we serve one another and the greater community. We are a loving and supportive Christian community, aware of the diversity and needs of all individuals who make up God's people, always encouraging reverent and joyful worship of God and making the love and power of Jesus Christ known to all who have been created by God's Diving Wisdom. We strive to be inclusive by unifying communities and sharing a Presence with the larger community. St. Paul's Episcopal Church was started in the World War I era, in nearby Edgely village, when Episcopal seminarians were invited to conduct liturgies at a non-denominational chapel. In 1921, the Episcopal Diocese of Pennsylvania opened a mission in a small structure in Edgely. Various clergy served this mission until World War II, when the mission was closed. In 1949, the Reverend Stanley Powell was placed in charge of Christ Church, Eddington, and St. Paul Chapel, Edgely. 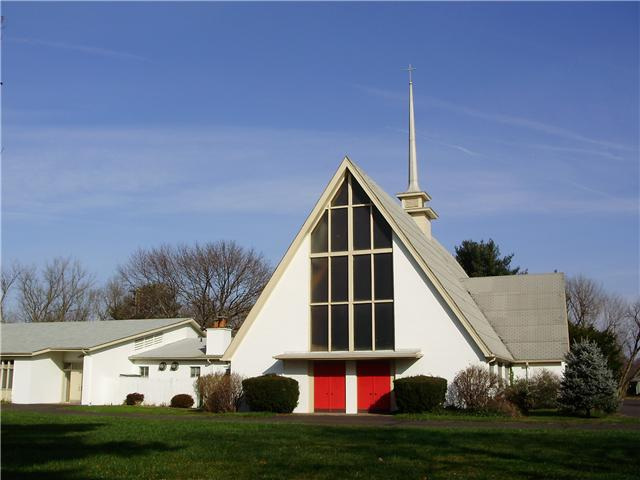 William Levitt donated to the church 3.5 acres to build the first church in Levittown. Father Powell was appointed its first full-time priest and the new church, St. Paul's Episcopal Church, was built in 1954. An addition of the hall was added in 1958. Father Powell retired in 1988. The Reverend Edward Schultz served as interim priest until the Reverend Howard Wood was called in 1989. Father Wood retired in 2003. The Reverend Michael Ruk was called as priest in September, 2004, and ended his ministry with St. Paul's in June, 2012. In September, 2012, the Reverend Sean Slack was called by the search committee at St. Paul's (in conjunction with the search committee from our sister church, All Saints Episcopal Church in Fallsington, PA) to join our community of worship and ministry. Father Sean was ordained into the Priesthood in January, 2013, and he was formally installed as St. Paul's priest in September, 2013.